You likely have at least one of these things somewhere in your home – even if just in the form of a power strip – maybe protecting your modem, computer or TV. For many consumers, an inline unit that’s connected at the outlet is an essential add-on to any expensive electronics we have in the home. What many consumers don’t realize is that these simple, inexpensive surge protection may not be adequate for a serious surge. And you’ve likely overlooked your most expensive electronic devices, leaving them unprotected. Appliances such as your stove, refrigerator washer/dryer or air conditioning unit are all equally susceptible to surges, yet most folks don’t bother to protect them. It’s estimated most households have around $10,000 of unprotected electronics on average. With our growing reliance on electronics and our inevitable move towards smart homes, it’s just not feasible to get a power strip for every single outlet in your home. But, you can protect every electronic device in your home with a small investment and a little elbow grease. Compared to some of the cheaper models on our list, this one might seem like it’s sold at a premium. But when compared with all the other models on the market, this provides more value than any other model we’ve tested. What we like about these surge protective devices is that it offers better value than anything else we’ve tried. Sizing a complete whole-house surge protection system can be a challenge. The larger capacity models can protect against the largest surges, but let small ones pass. This means that some of your smallest, most delicate electronics can be damaged. Meanwhile, most of the smaller surge protection devices aren’t sized to handle massive surges. This siemens model is the exception. It has a “three stage” protection system that enables it to catch all surges, both large and small. It also has a built in digital notification system. For consumers with a smart home system or businesses with a building automation system, you’ll get a notification if your ever experiencing unfavorable power conditions. Siemens backs up their claims with a $25,000 equipment coverage in case of device failure, and provides one of the longest lasting warranties on the market. If this protector fails anytime within the next 10 years, you’ll get a free replacement. How do you know if it’s failed? With the handy LED status lights, it only takes a quick glance to see that it’s currently in operable condition. However, due to the build quality and design, we’d expect this surge protection system to outlast anything on our list. 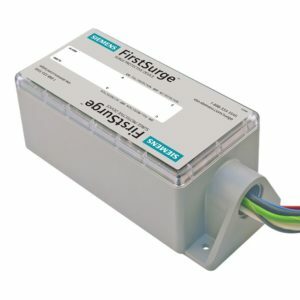 This is by far one of the most robust surge protection solutions on the market, and we’d highly recommend it to anyone who is looking to spend a little extra protection in a single package. Now that you’ve picked out the right protection unit, it’s time to talk installation. We always recommend that you have a professional electrician install any surge arrestor, despite the simplicity of it. Because of the high voltages involved with installing a unit like this into your breaker box, there can be severe consequences and damages to your home, or injuries and even death to yourself. If you’re comfortable installing it on your own like many others, then great – but we don’t advise it and aren’t liable for any damages or injury if you decide to do so. It typically only costs around $100-150 for a professional to install it. Here’s a video of someone installing their own Leviton unit, so that you can decide if you have the skills necessary to do so. 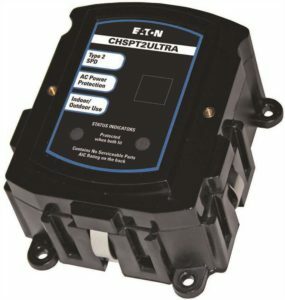 This “type 2” protector is designed to mount directly to your breaker panel. It’s fully electrically isolated, so you can install it either inside the electrical panel our outside – whichever is easier for you! 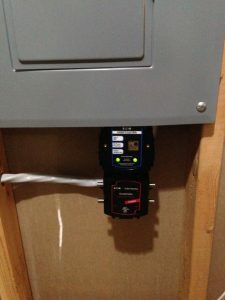 Personally, we’d recommend installing it outside of your breaker panel as this allows you to use the built-in LEDs to quickly see the status of the surge protector. The LED on the left shows you that the protector is still active. As long as it’s green, you know that this device is protecting all of your valuable electronics. The light on the right tells you if there has been a surge or not. If both lights are on, your house is protected and there hasn’t been any incidents. If only the right light is on, there has been surges but the device still has enough capacity to protect your home. If both lights are off, there have been several surges and you’ll need to replace this device. Because of it’s 108Ka rating, it’s unlikely that any standard household will ever have to replace it. This is true of most units rated for over over 200 amps. With the exception of catastrophic damage, the chances of having a surge big enough to fry it is incredibly unlikely. This surge protector is easy to wire up, requiring it’s own 50 amp breaker. It comes with a decent length of cable attached. if you wire it up inside the panel, you’ll likely trim in back a little. But if you wire it up outside, you’ll have enough wire length to install it without any splices. Eaton also included the ability to protect your phone line and cable from surges. As these commonly overlooked devices also carry power, having this feature is great for anyone still on a landline, as well as anyone with cable TV or internet. This, combined with its excellent warranty and low price, is one of the first models we’d recommend checking out. 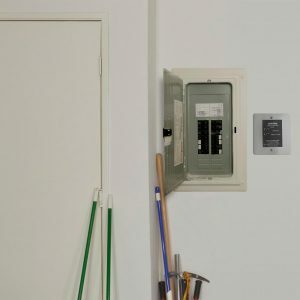 The Leviton 51120 is specially designed for 120 volt residences or small businesses where there is a high risk of exposure to voltage transients. Voltage transients are a specific category of surges that originate from within the home, or from nearby houses and establishments. Large devices kicking on or off (such as water heaters) can cause a sudden influx of current that can damage smaller devices. Although this protector is a little more expensive than some, it has the features to make up for it. Its J-box enclosure makes it a fully self-contained unit. You don’t have to modify your existing breaker box, nor will you have to create a custom mount for it. It can easily be installed in the wall, or tucked away in a closet. Just run a three-wire pair back to a free circuit breaker and you’ll be able to protect everything on the other side of the breaker. Although the 50Ka rating may make it seem a little smaller than some competing models, there is still one key advantage to this unit. It’s capable of finding and preventing smaller surges that others would miss. This makes it the ideal first choice for any home that wants to protect their smaller, more fragile electronics. Devices like phones, laptops, stereos, computers, and televisions are all the ideal candidate for a surge protector like this, and we’d highly recommend it to anyone willing to make a little extra investment. 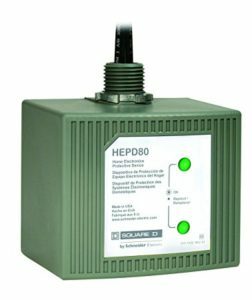 The HEPD80 by Schneider Electric is one of the most affordable type 2 surge suppressors on the market. 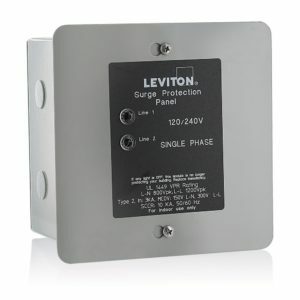 It comes in a simple metal enclosure and is designed to bolt directly to your breaker panel. With taht in mind, many consumers have found it easier to mount it directly to their sheet rock (drywall) instead. This device has an 80kA rating which is pretty middle of the road for the industry overall, but still very impressive when you consider it’s low price. Installation is designed to be placed on the first fuse after the main circuit breaker, which will allow it to absorb any surge before it heads towards the lower breakers. This device is suitable for many homes both large and small. Despite it’s compact size, we found it to be very well made. The enclosure is nice and sturdy, and the leads are all 14 gauge or larger. With so many inexpensive products cheaping out on one of the most important components (the power leads,) we were happy to see that schneider didn’t cut any corners. How To Install a Panel Mount unit If you’re on a tight budget and know your way around a breaker, this protector is a fantastic choice. Although these devices are fairly straightforward to install, they’re not quite as simple as a power bar. If you’re not comfortable doing your own electrical work, it might be worthwhile to hire a professional. But if you follow our handy guide and take the right precautions, you can install these devices on your own. 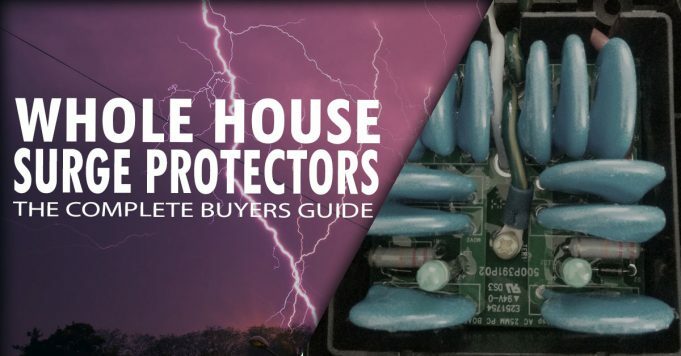 Most people think that a whole-house surge protector is designed to protect them for surges caused by lightning strikes. But, around 80% of surges are smaller, and we actually cause them ourselves. While strikes do certainly cause surges, there is really no protection from a direct strike. They’re also quite rare, but if you are really worried about it, you may need to look into a lightning rod. 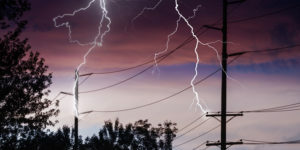 A nearby strike or downed power lines can cause surges in your home that these units may protect from, however. These 80% of smaller surges are produced from motors and generators in major appliances like air conditioners or clothes dryers, when starting up and stopping, diverting electricity from other devices. The surges then spread directly into the electrical system of your home spreading to your other connected electronics and appliances. While most of these surges may not be large enough to cause a direct failure of an appliance, they can also add up over time, slowly degrading your electronics’ performance and lifespan, until their eventual demise. That is of course, unless you let the surge protector take the hit. Whole-home surge protectors are the most robust models available, typically falling into one of two classes. If you want to learn about their differences in more detail, check out our explanation of the different types of solutions available. Most surge supressor systems (whole-house surge protectors as well as those in surge strips) employ a technology known as sacrificial shunt mode technology using MOVs or metal oxide varistors. A varistor is basically an electronic component that absorbs excess electrical current, taking the hit for your valuable appliances. These MOVs allow current to flow normally to your electronics under a normal voltage. If the voltage level rises to an unnaturally high level then the potentially damaging excess electrical current is then shunted away from your connected electronics and into the sacrificial MOVs. Most household power strips have MOVs that can only handle a certain size of surge, and will not be usable afterwards – hence the term sacrificial. But, whole-house surge protectors have MOVs that are built to shunt multiple large surges and can last you several years. Here’s a good video that you can watch if you want more detail. It may help to think of it kind of it like the overflow hole in your bathroom sink. You can fill your sink up with water for normal uses and the hole doesn’t do anything at all. But, if you fill the sink up too high with water, instead of the water overflowing and leaking everywhere causing expensive damage to your floors, the overflow hole shunts the water safely down the secondary drain hole (MOV). To make it a complete analogy, technically the secondary drain hole would empty into a bucket, which will eventually need to be replaced after too many overflows (surges). You get the idea. Not everyone has one of these units, but we think they’re a great investment, or think of it like insurance. Some of your most valuable electronic devices like your TV, computer, or home theater system are likely protected by smaller power strips with surge protection. But, you may not have considered some other appliances that you can’t or don’t use a power strip for. For example, do you plug your phone into a protected outlet every single time you charge it? What about your dishwasher, fridge, chest freezer air conditioner, washer/dryer, treadmills or that expensive espresso machine or blenderyou spent a few paycheques on? 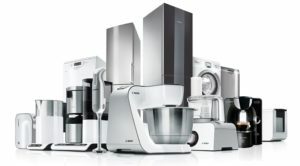 While most single surges in the home aren’t large enough to cause failure of these appliances (although it could happen), over time they can wear down the circuitry causing failures. Is it worth spending several thousand dollars to replace an expensive home theater system, or are you better of spending between $100-$200 to protect every electronic device in your home? Generally these units are often rated by the amount of current (measured in kiloamps, kA) that the unit can manage. Most homes will never see surges greater than 10kA. However, if you buy a unit that only has a 10kA rating and then experience a 10kA surge, the capacity of the MOV shunt will be all used up in one go. Most households can be properly protected using a 50-80kA rated unit. Of course, the higher rating you go the better, since it can handle a larger surge and will hopefully last longer, but often the price will increase as the rating does. You should also ensure that the unit is certified by an independent laboratory such as UL. This is the same company that certifies your washer, dryer, home theater, and other appliances around the house. The other small thing to consider is to get one with an LED indicator light that indicates whether or not the unit is properly functioning. No point of having it installed if you don’t know whether or not it’s working. Do Warranties Cover All of My Electrical Equipment? Many of the units you can buy offer limited warranties of varying lengths and amounts. The warranties offer tens of thousand dollars to cover any damages caused to sensitive electronics due to failure of the protection unit. However, it’s often quite difficult to prove and verify that damages are due to your correct use of the device. If you do ever pursue warranty action within the specified timespan, keep in mind that it may not be successful if the manufacturer decides that you may have done something to void your claim. For example, for a successful claim with Schneider Electric’s unit, you need to follow these steps: 1) have your original receipt 2) have an independent repair company verify the cause of any damage 3) file a homeowners insurance claim within 30 days 4) before repairing any damaged devices, Schneider must be contacted 5) then you can send in the receipt, independent evaluation, proof of insurance claim and the damaged protection unit to Schneider for them to evaluate. Another customer from Leviton only received half of the total claim, due to the exclusion of outdoor equipment from their warranty. The lesson here? Read the fine print; follow every single installation, maintenance and usage instructions to a tee. When choosing a brand, focus on a company that has good customer service, and they’ll make it easier to deal with the insurance during a claim. Electric currents travel from points of low potential energy to points of high potential energy. So when electricity travels along a cable, one end of the cable has a low energy potential and the other has a high energy potential. Think of this like a water hose analogy. High pressure on one end of the hose causes the water to flow to the point of low pressure – or in other words, the point where there is more potential pressure flow. Voltage is a measure of a difference in electrical potential energy. Using the hose analogy, you might think of voltage as a measure of electrical pressure. You can think of a power surge (or “transient voltage”) as essentially a short, sudden increase in voltage. Of course, because we’re talking voltage, any electronics in your house are prone to power surges. This includes everything from your coffee maker to your lightbulbs. So why don’t more people have these important electrical safety devices all over their house? It’s because not all of your electronics actually need protection from unexpected electrical spikes. Light bulbs, for example, have absolutely no reason to be connected to a protected outlet. A surge protective device is really only important for more modern, high tech electronics, especially ones that contain microprocessors. The components of sensitive electronics electronics like DVD players, TVs, computers, sound systems, and kitchen appliances, are all especially vulnerable to power surges. They require a steady flow of electricity, and even minor disruptions to this flow can wear them out or cause them to malfunction. While lightbulbs can continue to function even when there are fluctuations in the flow of electricity, modern electronics are much more sensitive to even subtle changes. If you don’t have any type of protection from power spikes, chances are your electronics have still born the effects of a power surge. Even if the damage is not immediately noticeable, these sensitive devices can wear out over time. Even these devices (which are designed for surges!) can get damaged with a strong enough surge, so it’s always advisable to invest in one with an indicator light. Strong surges are not necessarily common, but they are definitely unpredictable. Lots of people don’t own a single electrically protective device and never face problems. However, they are taking a gamble, especially with their higher end electronics. It’s one thing to have your toaster burn out on you, but it is immeasurably regrettable to lose you laptop or top of the line sound system to a power surge. The bottom line is that not all of your electronics need to be hooked up to a surge protector. It comes down to understanding which of your electronics are vulnerable, and how much you’re willing to risk damaging them. Keep in mind that most power surges are caused by your own household electronics – so if you’re doing the laundry, running your fridge, making dinner in the oven, and streaming a movie on your laptop, you’re putting all of those electronics at risk without the proper precaution. Lastly, we simply recommend that you layer the protection you use for your electronics. Installing one of these units is not perfect solution, and it doesn’t mean you will never need to use a stand alone power strip or surge supporessor. The safest home and the safest thing for your electronics is to layer the protection by still using those smaller protection devices. The other thing to consider, especially with home theatres and large audio systems, is to pick up a power conditioner. Power conditioners ensure that your devices are getting the “better quality” electricity (proper amounts), filter out noise and also act to protect against steep voltage changes. They’re not a necessity, but just an additional layer of protection and can increase the lifespan of your electronics. Q: How long does one of these whole-house surge protective devices last? A: Unfortunately there is no exact lifespan on these units, due to the varying severity of power issues that you may encounter. A single lightning strike could fry the unit, or it could take 5-7 years of a few smaller but still significant disruptions. You could also have very few pulsations and get up to 15+ years out of one. It’s hard to say and depends on a lot of factors. It’s important to frequently cpheck the indicator lights to ensure the unit is still functioning properly. Q: If the surges come from appliances like AC units and larger appliances, what good is the protector doing at the breaker panel? A: Any power issue on a dedicated circuit like an air condition unit will transfer back to the breaker panel, where the protector can then shunt the surge, protecting everything else in your home, the actual internal wiring, and everything connected. Q: Do these companies honour the warranties? A: While we haven’t heard any horror stories of warranties not being honoured, it is always possible that you overlook a small detail in the warranty info leading to an unsuccessful claim. As long as you follow installation, maintenance and use instructions included by the manufacturer’s warranty info, and follow the steps for a warranty claim, you shouldn’t have any issues. 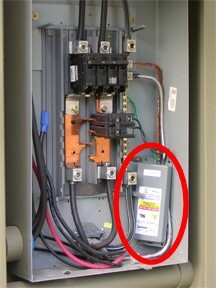 Q: If the surges com from appliances like AC units and larger appliances, what good is the protector doing at the breaker panel? 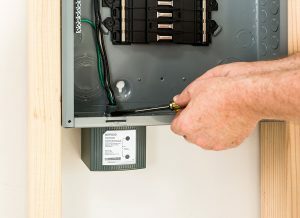 A: Any surge on a dedicated circuit like an air condition unit will transfer back to the breaker panel, where the protector can then shunt the surge, protecting everything else in your home, the actual internal wiring, and everything connected.